All prominent media is propaganda and the only difference between them is the sophistication of that propaganda. And Roshan Muhammed Salih should know, having worked for British mainstream media as well as Saudi, Qatari and Iranian funded media for the last 18 years. During that time Roshan has covered the Muslim “news beat” in the UK and abroad more comprehensively than any other journalist, and he now runs Britain’s number one independent Muslim news website, 5Pillars. Roshan has had a front seat on much of recent Muslim history, from the rise in Islamophobia and state oppression at home to wars, revolutions and natural disasters abroad. He has also interviewed countless extraordinary people, many of whom ended up dead or in prison. 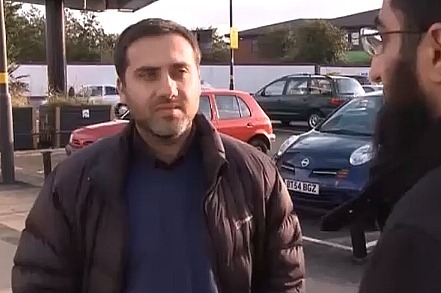 In this look back at his career working for news organisations as diverse as ITV, Channel 4, Discovery Channel, Al Jazeera, Islam Channel and Press TV, Roshan focuses specifically on the evolution of Islam in Britain from the 1990s onwards as well as how the mainstream media has lamentably failed to report on it fairly. By telling his personal career story he takes aim at the British state and media for scapegoating and otherising Muslims in the War on Terror years. But he also reflects on the divisions and inadequacies within the Muslim community itself. This book is one of the few written by a British Muslim who is genuinely embedded within the Muslim community rather than a government tool whose voice has been artificially amplified by the Establishment. Ultimately, it’s about struggling to fit in – struggling to fit into mainstream British society and even struggling to fit into a divided Muslim community itself.